AMERICAN FORK, Utah, March 18, 2019 /PRNewswire/ -- Henry Schein, Inc. (Nasdaq: HSIC), through its Henry Schein One joint venture, today announced that it has acquired Lighthouse 360, a provider of easy-to-use dental practice management and patient communication software that complements Henry Schein One's strategy to deliver integrated technology platforms that help dental teams become more productive and improve each stage of the patient experience. Founded in 2006, Lighthouse 360 was previously a part of Web.com and had 2018 sales of approximately $50 million. Henry Schein, Inc. expects that Lighthouse 360 will be neutral to the Company's 2019 earnings per diluted share and accretive thereafter. Financial terms were not disclosed. Henry Schein One is a joint venture between Henry Schein, Inc. and Internet Brands that delivers integrated technology to enhance dental practice management. As the latest addition to Henry Schein One's portfolio, Lighthouse 360 furthers the Company's mission to tightly integrate best-of-breed solutions into one technology system to help dental practices run more efficiently. "Lighthouse 360 is an innovative provider in the large and highly fragmented market for patient engagement software," said Stanley M. Bergman, Chairman of the Board and Chief Executive Officer of Henry Schein. "Lighthouse 360's highly automated software platform will expand our practice marketing and client communication solutions, providing tools to better connect us with our dental customers, and to help dental practitioners better connect to their patients." Lighthouse 360 serves more than 11,000 dental practices with a wide range of web-based tools that automate tedious tasks and help practices save time, reduce no-shows, and build stronger relationships with patients. Lighthouse 360 software has been recognized with numerous industry awards and is highly rated by users, with 90 percent of surveyed Lighthouse 360 users reporting that the software has increased their practice's efficiency. 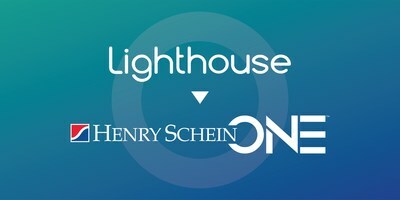 "As we explored this acquisition, it quickly became clear that Lighthouse 360's relentless focus on task automation, product innovation, and exemplary customer service made it a natural fit within the Henry Schein One portfolio," added James A. Harding, Jr., Chief Executive Officer of Henry Schein One. "Lighthouse 360 is in many ways a microcosm of Henry Schein One – a passionate group of technology innovators that put practice efficiency and patient experience at the forefront of everything we do." The Lighthouse 360 brand will remain intact and will continue to offer and support all current products following the acquisition. The Company has nearly 150 employees and is headquartered in Sugar Hill, Georgia. "Henry Schein One's dental expertise and deep technology resources make it the ideal partner for Lighthouse 360," said Sharon Rowlands, CEO and President of Web.com. "We are excited about the future of Lighthouse 360 knowing that it will be aligned with a dynamic organization focused on addressing the unique challenges faced by the dental industry." Lighthouse 360 automates dentists' daily consumer interactions and office routines such as appointment reminders, leading to improved operational efficiency and business results. The award-winning software has helped customers increase production by an average of 30 percent, and its features designed to boost practice efficiency, on average, save dental practices 16 hours per week and eliminate seven hours of weekly phone time for the front desk. For more information about Lighthouse 360, visit www.lh360.com. Henry Schein One, founded in 2018, is the world's largest dental practice management software company. Headquartered in American Fork, Utah, the company includes Henry Schein's market-leading solutions of Dentrix, Dentrix Ascend, Dentrix Enterprise, Easy Dental, and TechCentral, as well as international companies, including Software of Excellence, Logiciel Julie, InfoMed, Exan, and LabNet, among others. Also included in Henry Schein One are the dental businesses of Internet Brands, including web-based solutions such as Demandforce, Sesame Communications, Officite, DentalPlans.com and more. The new company integrated more than 40 software brands and employs approximately 1,500 people. For more information, visit www.henryscheinone.com. Henry Schein, Inc. (Nasdaq: HSIC) is a solutions company for health care professionals powered by a network of people and technology. With more than 18,000 Team Schein Members worldwide, the Company's network of trusted advisors provides more than 1 million customers globally with more than 300 valued solutions that improve operational success and clinical outcomes. Our Business, Clinical, Technology, and Supply Chain solutions help office-based dental and medical practitioners work more efficiently so they can provide quality care more effectively. These solutions also support dental laboratories, government and institutional health care clinics, as well as other alternate care sites. A FORTUNE 500 Company and a member of the S&P 500® and the Nasdaq 100® indexes, Henry Schein is headquartered in Melville, N.Y., and has operations or affiliates in 31 countries. The Company's sales from continuing operations reached $9.4 billion in 2018, and have grown at a compound annual rate of approximately 13 percent since Henry Schein became a public company in 1995. For more information, visit Henry Schein at www.henryschein.com, Facebook.com/HenrySchein, and @HenrySchein on Twitter.